No CD, no problem. 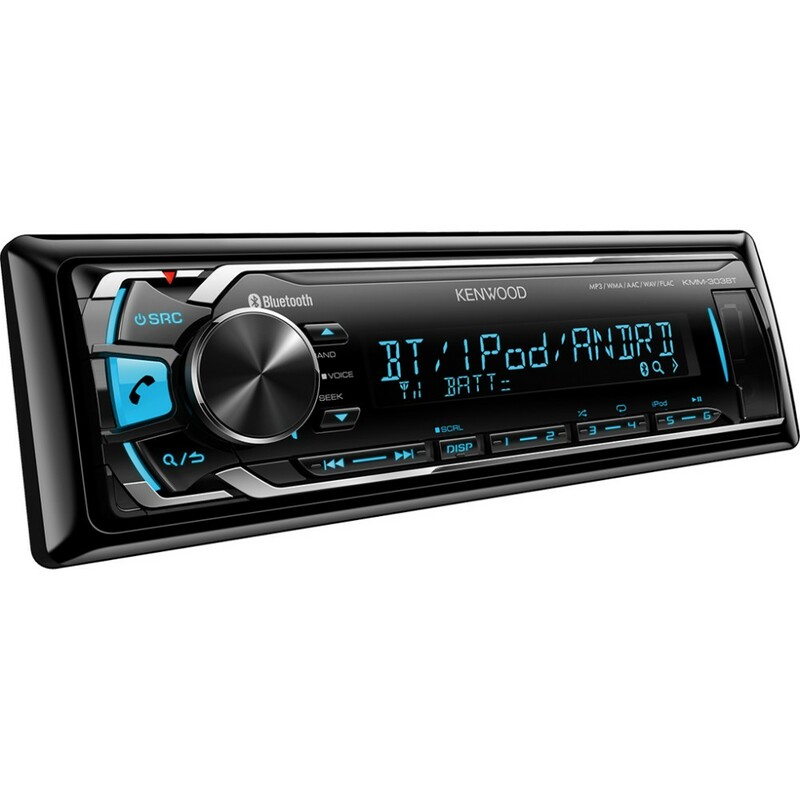 With bluetooth, USB and aux in you'll have no trouble playing your music through the Kenwood KMM-BT303. Audiophiles will love the Kenwood KMM-303BT Car Stereo with Bluetooth and its ability to play FLAC files - the ultimate in high quality music! Simply connect your iPod/iPhone via the front mounted USB (which will also charge your device) or by using the built in Bluetooth for either hands-free calling or A2DP music streaming. Other MP3 players can be connected via the front AUX for instant tunes. With a high power 4x50watt built-in power amplifier, this stereo is perfect for filling your car with the high quality sound you'd expect.